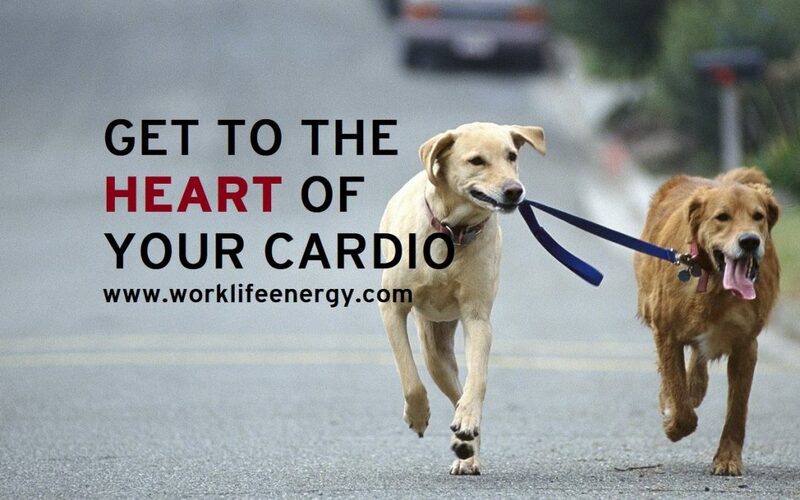 Part 3 of your Wellness Wake-Up Call is about getting to the heart of your cardio workouts. In this week’s Work-Life Recharge I have a conversation with fitness and lifestyle coach Colleen Parsons (www.colleenparsons.com) about the importance of cardio for health and vitality, how much is enough, and how to get started. 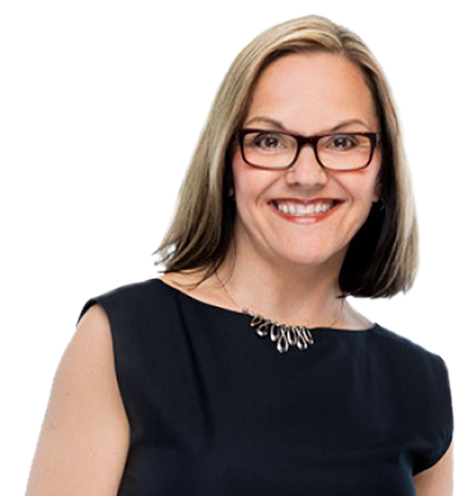 Colleen is a Calgary-based health and fitness consultant who helps people sort through the conflicting information about nutrition, fitness and wellness. And since 1989 she’s coached hundreds of endurance athletes toward success in athletics and personal nutrition.She has a degree in Physical Education, a Master’s Degree in Health and Sport Psychology, she’s a Certified Exercise Physiologist, and has a Sports Nutrition Diploma from the IOC. She also walks her talk. She’s done dozens of marathons and triathlons, and while she’s happily retired from competition, she’s still very active and committed to her own fitness. Watch the video below, or read the transcript that follows, and get to the heart of your cardio workouts. Michelle: So let’s jump right in and talk about cardiovascular exercise. What’s a wake-up call that people need to have around their cardio exercise efforts?Colleen: If you don’t use it, you lose it. Michelle: It seems so simple. Colleen: Yeah, you need to keep working at it. It’s a lifelong endeavor and we have to keep moving through all stages of life. Michelle: And as we get older, what ends up happening with our exercise regime? Colleen: And sometimes you don’t. Michelle: And well, here’s a wake-up call that I’m learning about in my late 40s… As we head into our older years, with women, with menopause, the biggest thing we can do is intensity of exercise to offset weight gain, to maintain energy, overall health. Colleen: Absolutely, So there’s lots of room for low intensity, long duration hikes and walks, and those sorts of things, but you absolutely need to introduce some intensity. So whether that’s you take your dog for a walk in the hills, or you do your hikes, or you go to a fitness class that will raise your heart rate maybe a little higher than normal. It doesn’t have to be done all the time, but it certainly needs to be part of the mix. Michelle: And well, I don’t know about you, but with the people I work with, and some of my clients, what ends up happening as we age is the length of the workout goes down and the intensity definitely drops. It’s as if there’s a fear around working too hard. Colleen: Exactly. There should be no fear with this. So there’s always room for the long slow distance sort of stuff, but absolutely everyone can work at a higher intensity. Michelle: And by intensity, it’s pushing yourself for a minute or more at a level that’s a lot harder than you want to do. Colleen: Exactly. It can even be quite uncomfortable actually at times. Michelle: High enough that you actually want to stop. But there’s power to that. And you can watch my video on exercise intensity if you’re interested in more on that. Michelle: Alright, so in speaking about exercise intensity, people are also going to want to know how long should we do our cardio exercise for? Colleen: Well, if you’re just getting started, then you can do as little as three, 10 minute bouts of cardiovascular exercise in a day and that would certainly qualify as acceptable for sure. Michelle: And I’ve even heard if you’re just starting out from sofa to… from zero to movement, that 10 minutes a day can start to make a difference. Michelle: The Canadian guidelines for exercise are what? Colleen: 150 minutes a week of moderate to vigorous physical exercise, every week. Colleen: Yeah, 30 minutes five times a week, 20 minutes seven times a week. Colleen: …They were asking too much. Michelle: They were asking too much for busy people. Michelle: So what motivates you to get up and get moving? Colleen: Not having to start over again. Michelle: Well, say more about that, not having to start over again. Colleen: It’s a lot of work to get started again…but it’s worth it because once you get on top of it, it’s all about cruising to a degree. You still need to add the intensity, and you still need to be challenging yourself, but it’s a lot easier to keep going, than it is to start something new. Michelle: It’s a lot easier to keep going than it is to start something new! Michelle: And when you’re uninspired, how do you make sure that you keep your exercise going? Colleen: Well, I keep it in the schedule, it’s in the calendar, and if I really don’t feel like doing it, I promise myself 10 minutes. Michelle: 10 minutes! And people are thinking, oh my gosh, fitness people are only doing 10 minutes. But it’s powerful. Colleen: And if you’re out there and doing 10, you’re probably going to do 20. Michelle:Because if you can get out the door, 10 minutes is going to become 15. It’s not the doing that’s tough, it’s getting to it. Hmm. Get out there and move, even if you don’t feel like it, because once you start moving, you’ll feel like it. Michelle: Now we have both been health enthusiasts for many many years and we hold on to it because we know how hard it is to get back once it’s gone, so if you could give one piece of advice to somebody just getting back at it, what would it be? Colleen: Choose something you like, start slow, add the intensity later, but get comfortable with moving again. And then the sky’s the limit. Michelle: Sky’s the limit. And I also say, if you have people around you that you can go out and do fun things with, that’s a powerful thing. Michelle: I did the marathon training program with Colleen many many years ago. It was a group of people who met every Monday and Saturday to run, that held you accountable, we had fun, and we got to celebrate together when the run was done. And it doesn’t have to be a marathon. It can be a learn to run program, it can be a weekly walking group, it can be just going to a class like you said. And surrounding yourself with people. Michelle: and so if you’re thinking about regaining your health, and giving yourself your own wake-up call with you wellness, I hope some of this information has helped. We are going to be following up with more information in next week’s blog. Check out Colleen’s programs at www.colleenparsons.com. Until next time, I’m Michelle Cederberg, helping you transform your work and your life, one cardio, heart pumping workout and one recharge at a time. Thank you Colleen.